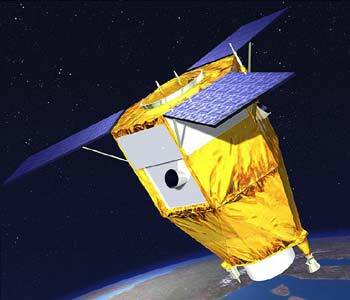 Pléiades is the CNES (French national space agency) program designed as the follow-on to its highly successful Spot series of low Earth orbit (LEO) multi-mission observation satellites, which has operated an uninterrupted service since 1986. The Pléiades-HR satellites are the high-resolution optical imaging component of the French-Italian Orfeo system, for which Italy is supplying the COSMO-Skymed radar component. The ground resolution of the HiRI (High-Resolution Imager) will be 70 cm across a 20 km swath, while a very high degree of agility will allow them to acquire several images successively along track or off track, for mosaicking of ground scenes. The onboard storage capacity has been increased to 600 gigabits and the downlink data rate to 450 megabits per second. The 970 kg satellites have a design lifetime of five years and onboard power capacity of 1,000 W.
Astrium is prime contractor for Pléiades satellite bus, including all functions dedicated to satellite control and monitoring as well as payload data handling and transmission, and is responsible for software development and satellite validation. Alcatel Space is responsible for the high-resolution instruments and image telemetry. The satellites are coorbital with the lower resolution SPOT 6 and 7 satellites.